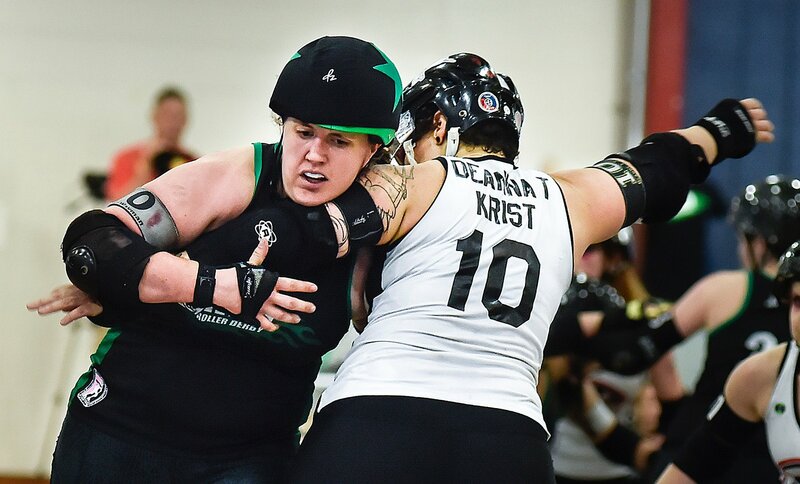 I started derby in 2010 after watching the movie “Whip It” and thinking “I wonder if this is a real thing?”. 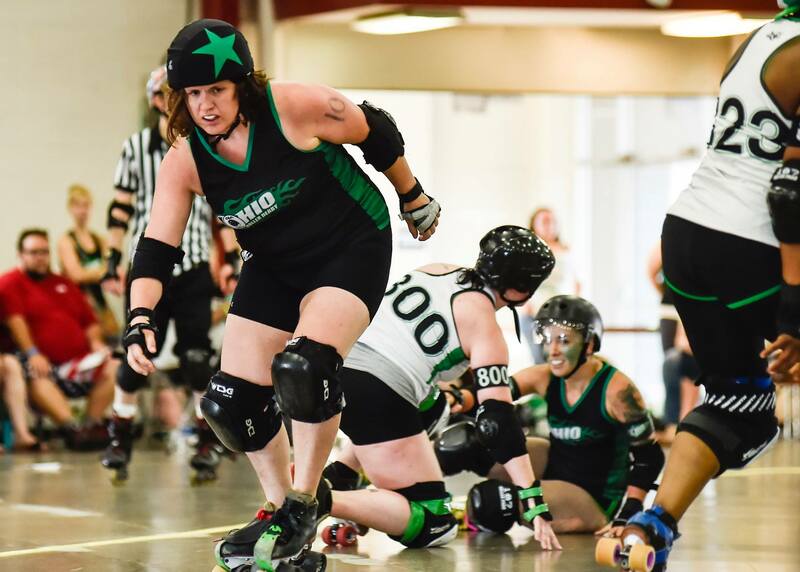 I googled “roller derby Columbus”, found out about a wannabe clinic and was invited to tryout for the team a couple months later. I don’t quite remember who came up with it but I wanted to name myself something much more crass. My name was suggested based on my last name, Wayman. I’m glad I went with it instead of something my mother wouldn’t approve of. I like to play pivot. I am a blocker at heart but can jam when the situation calls for it. I’ve received several awards including MVP charter team blocker, megaphone award, and, most importantly, the Feral Toddler award. This was a endearing name my teammate (Adams formerly Angla Vyle) gave me because I like to wrestle in dresses and because of my generally unrefined demeanor. No matter how many games I play, I still get nervous. I usually like to get a pep talk from my teammates Rigg, Chainsaw, or Burnadeath. They always have wise words to calm me down. 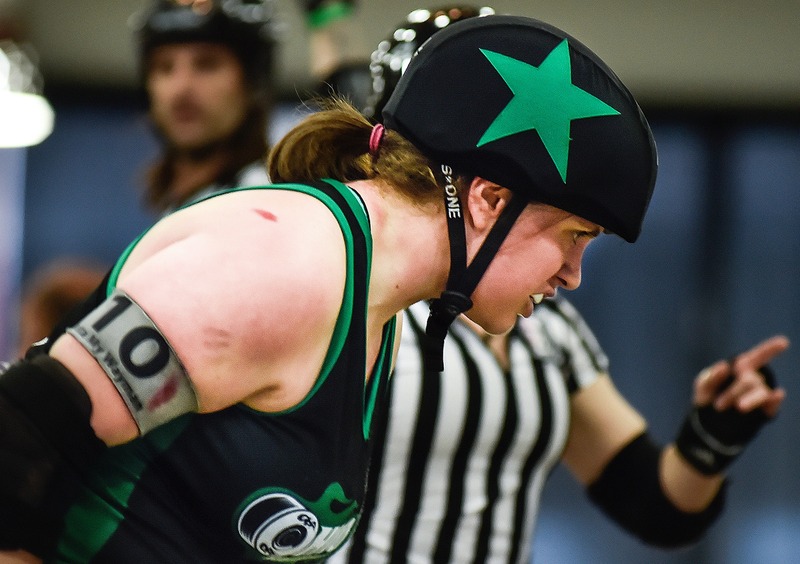 Improve my versatility and endurance as a jammer and my stability and leadership on the track as a blocker. 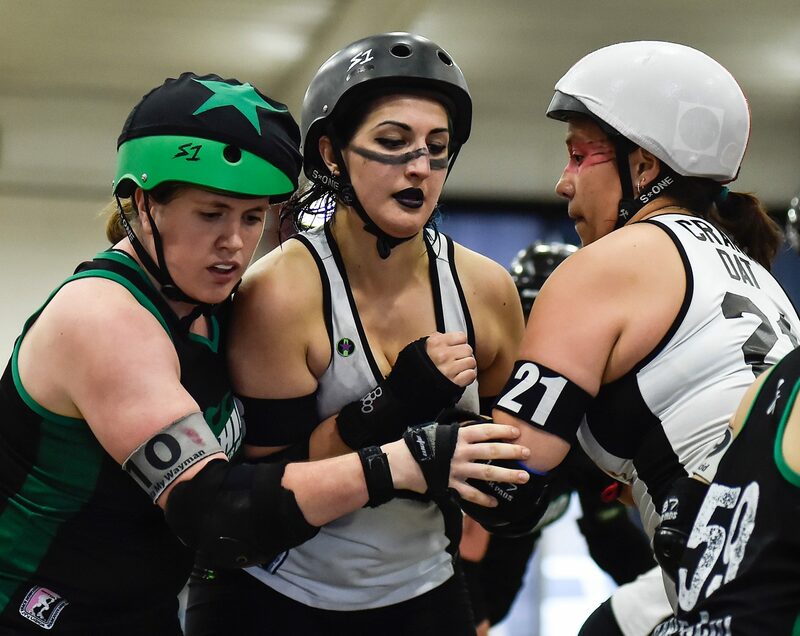 I’ve always loved most any sport but roller derby fills up most of my extracurricular time. I spend plenty of time at the gym lifting and cross training. I’m a big music fan and like to hit up local shows as well as bigger acts. I love CD1025 for all my music needs (one of our sponsors!). Training committee member. We spend a lot of effort coming up with the training programs for the league. The game is always changing and evolving so we have to keep up to remain competitive! There are so so many! I have to say going to champs and winning in the first round in 2013 still remains huge. Still miss our captain who led us there, Phoenix Bunz (and of course Coach Great Scoot). Derby has given me great memories of upset wins, road trips, after parties and so much more. I’m not very picky. I do really like the mouth guard that a teammate made for us (Loraine Acid the soon-to-be dentist). Soft but I can still breathe! Never underestimate yourself. If you are competitive and hard working, you will get everything you put into it back out, then some.